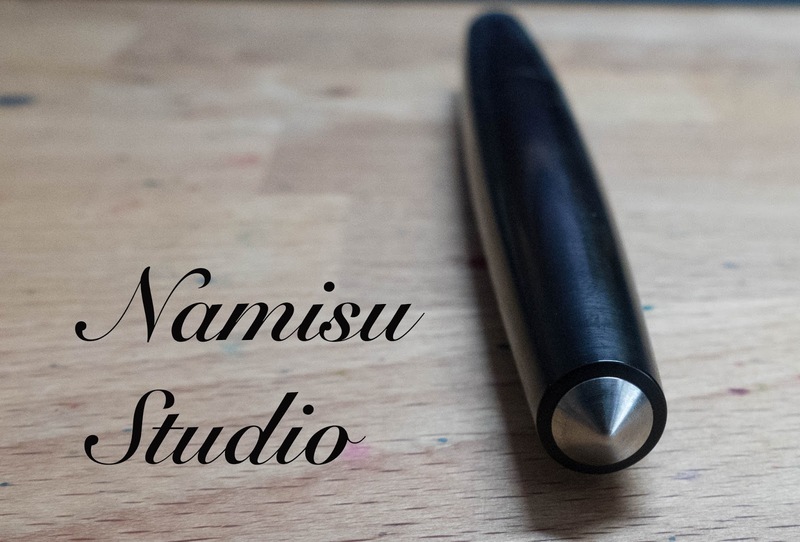 The Namisu Studio | Inkdependence! This pen was loaned out to me by my friend Andrew from the PenAddict Slack channel. Originally, I just wanted to try out a titanium nib, but this pen is one that I hadn't tried out either, so he sent the whole pen. I'm really glad that he did. 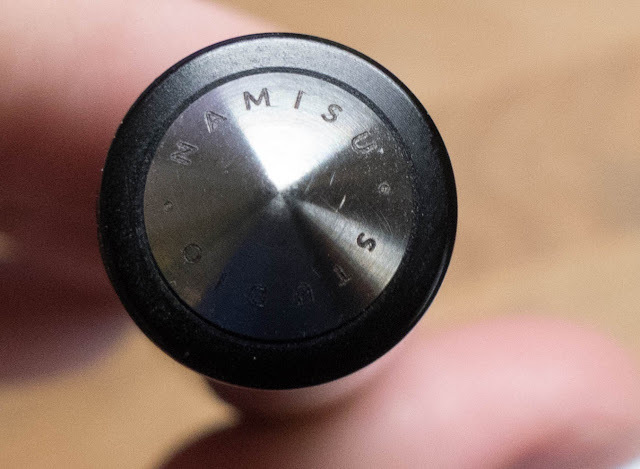 Namisu is a UK pen maker that I'm not all that familiar with. They've been around since 2013, and I've seen the name around the internet, but I don't think I've seen any of their pens in person. Probably I've come across their aluminum version of this pen, the Nova, but I hadn't seen the Studio yet. In fact, the version of the pen that I'm showing today seems to be in pre-order on their website. If the aluminum version is nearly as nice as the ebonite then, at about $60 (shipped to the US), it would be a steal. Its' a beautiful pen if you're into simplicity. the lines are clean, and the finish has that beautiful (and sort of matte) shine that you really only get from ebonite. It's a hard rubber, and it'll oxidize over long periods of time but you can always clean it up. 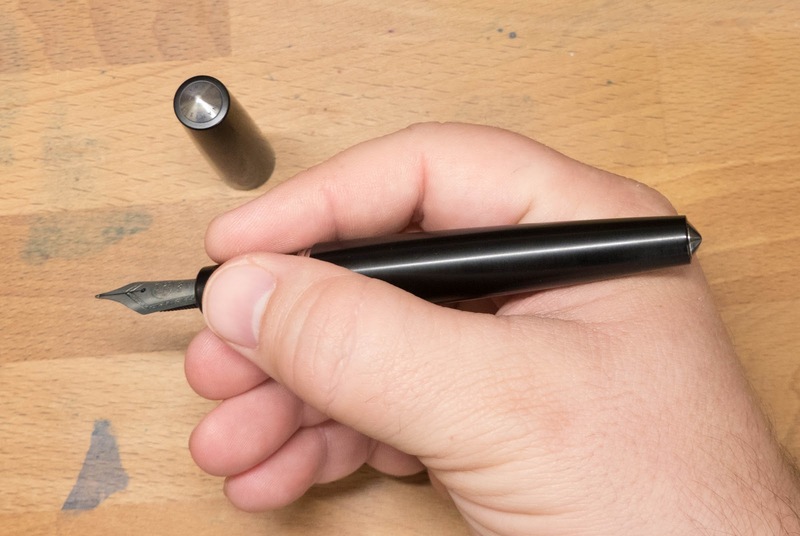 The ends are capped in titanium, and you can get a titanium nib, as well. It ought to last forever with those materials. The image below shows the only bit of branding on the pen. A simple engraving on the finial. Slick and unobtrusive. Here's the finial on the bottom of the pen. Slightly pointed but unadorned. 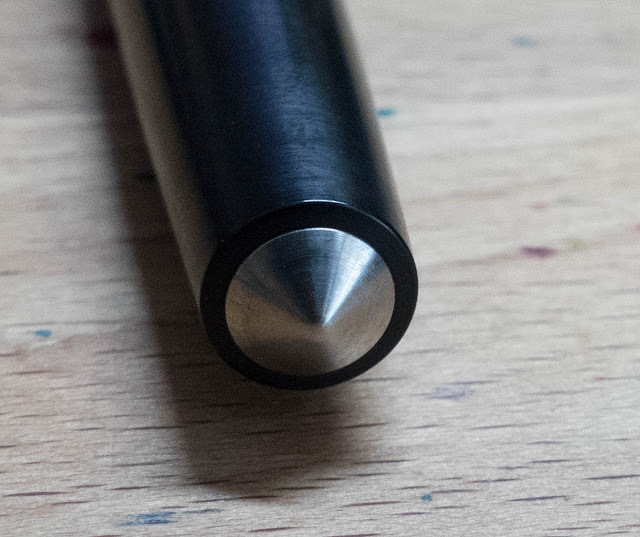 In this close-up you can see the slight pattern left in the ebonite by the machining process. When you take off the cap you'll find titanium threads an an ebonite section. The threads are square cut, smooth, and it doesn't take many twists to remove the cap. That ebonite section is really comfortable, too. There's something about ebonite that just feels warm to the touch. 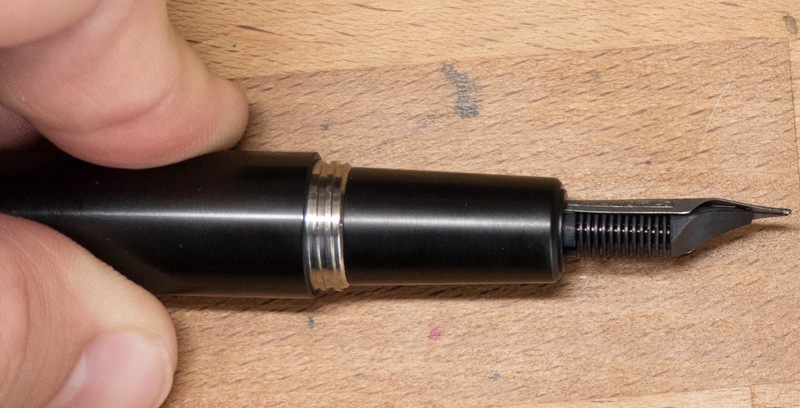 This side-shot makes the nib look a little bit out-of-proportion, but that wasn't my experience with it. Andrew got this pen with a titanium nib. I think it was supposed to be an "extra fine", but it didn't feel like one, and it wasn't marked. It wrote more like a medium, really. I wasn't sure what to expect from a titanium nib. I'd heard, variously, that they had a little bit of flex to them, that they were hard like a nail, that they were too wet to use, and that they were prone to getting "sprung" because Ti can't remember what shape it's supposed to be. In my experience with this pen (I had it for about a month), the Ti nib is great. There's a little bit of bounce to it when you're writing normally, but if you apply just a little bit of pressure you can get some really decent line variation. If you're braver than I am, you could push it harder. This wasn't my pen, though, so I wasn't taking any big chances on it. It was totally serviceable for regular writing, too. I wrote pages and pages (and a few converters full) of notes with it using the Sailor Rikyu-Cha ink that you see below, and I never had any problems. It's one of my favorite inks, and the nib on this pen really let it show off. The picture below was from the writing sample that I did in the video. Check out that video around the 2:30 mark to see the writing sample being done. I've got pretty large hands, and this pen fit me perfectly. The website at Namisu says that this pen was designed to be used without posting, but this version posts perfectly. I probably used it that way more than any other mode. The clip-less cap meant that if I just set it down it would roll away, so I'd either post it or I'd set it upright on the desk. Length and balance are great either way. 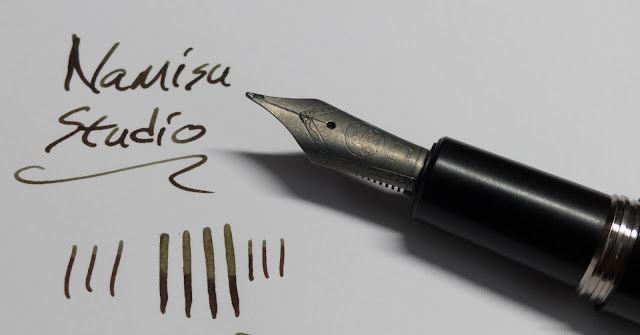 I didn't get my own measurements before I sent this pen back, but Namisu has them on their site, and I've no reason to think they're incorrect. It feels light and substantial at the same time. Good stuff. Full-Disclosure: I was in a hurry when I took these pictures, and the glare and balance and focus are all off. Since the pen is gone, though, I don't get a do-over. These pics will serve, but they're not my finest work. 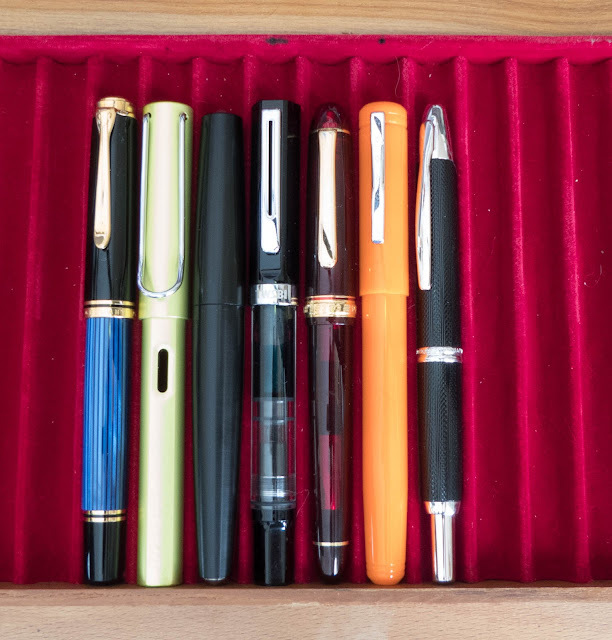 Pelikan m800, Lamy Al-Star, Namisu Studio, TWSBI Eco, Platinum 3776, Franklin-Christoph 20, and a Pilot Vanishing Point. 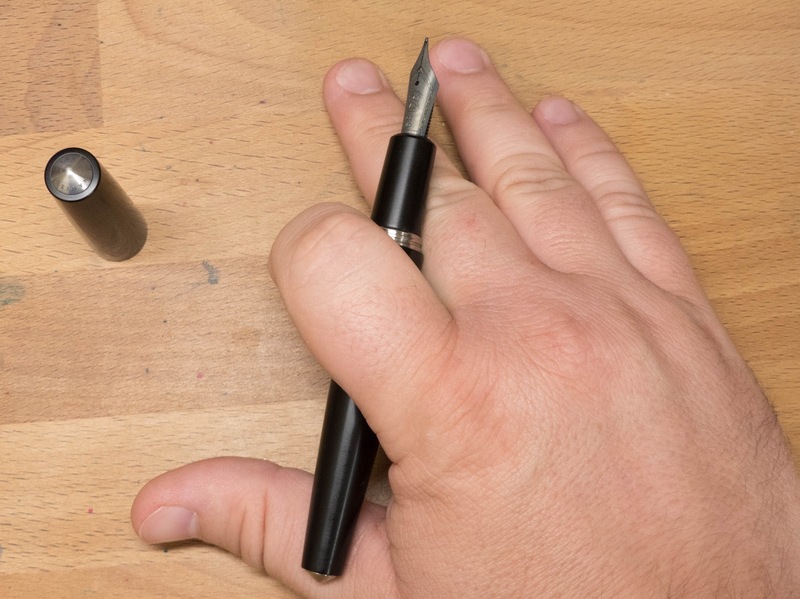 So, should you buy this pen? Sure. I totally should have bought it from Andrew. The only things holding me back were some recent pen show expenditures and the fact that it didn't have a clip. 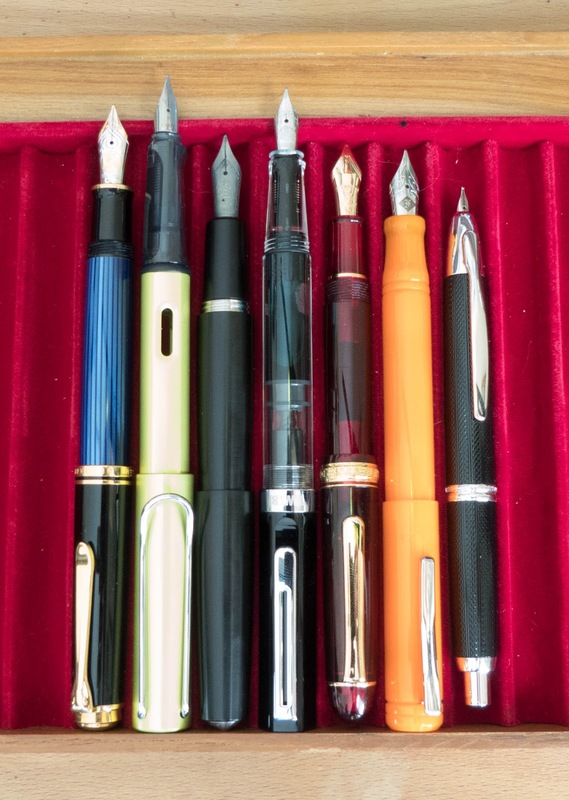 I like to take my pens with me, and I really prefer a clip. I don't think they should ever add one to this pen, but I don't know if I could have turned it down if they'd had one on there. Looking back, though, I've got regrets about letting it go. The look, feel, and performance of this pen were great. Ah, well. 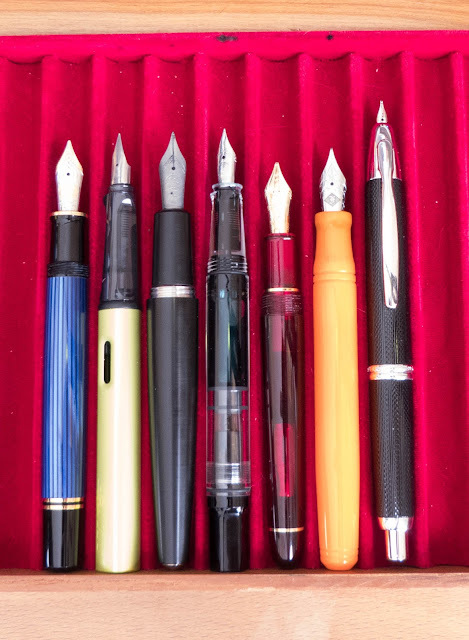 Who needs more pens, right? Right? I snagged myself an all-aluminium Namisu Nova in 'Comet Gray' via their Kickstarter campaign- a somewhat cheaper option than the titanium and ebonite - and it continues to be one of my favourite pens. I'm a real fan of the titanium nib too - so much so that I've got another couple on the way (courtesy of another Kickstarter campaign). 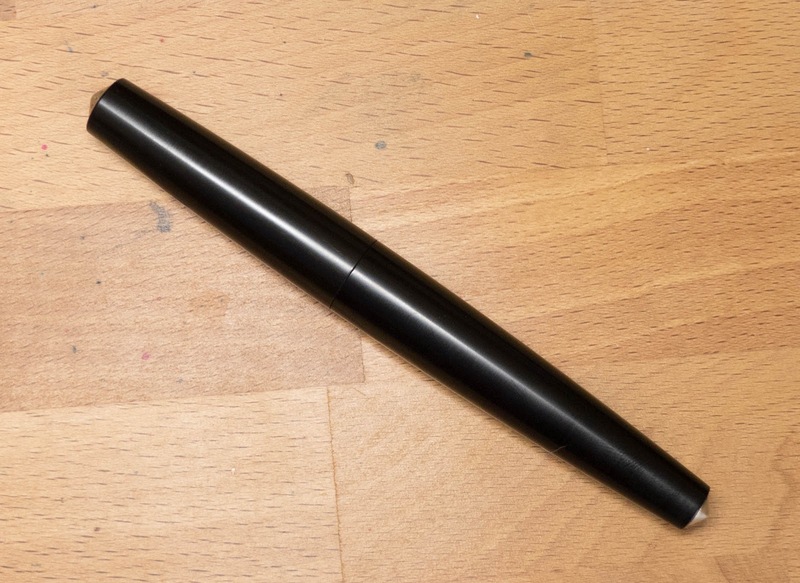 Thanks for reviewing this - definitely worth buying, if you can cope with a clipless pen...! Well i am in love with bic pens but i found the pens more interesting which you have showcased in your blog. The Aurora Kappa Winner Has Been Chosen! Wanna watch a long Q&A video? 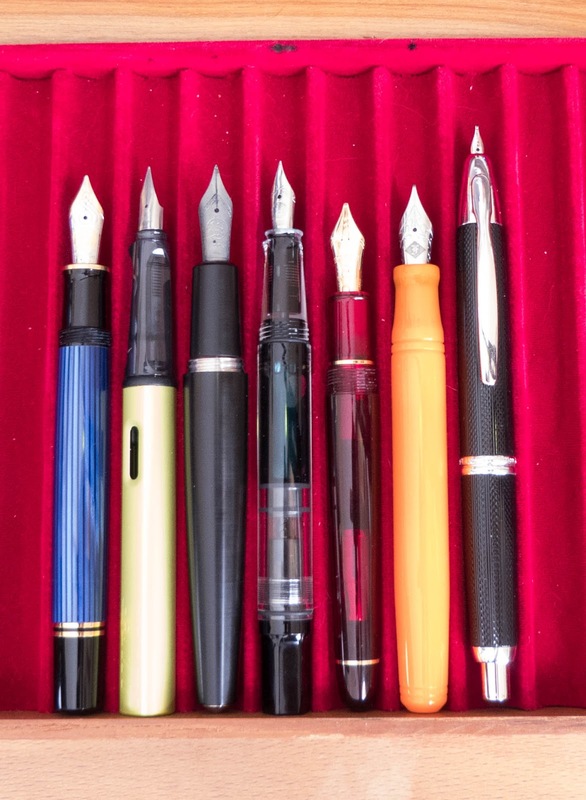 Chicago Pen Show Exclusives from Papier Plume!